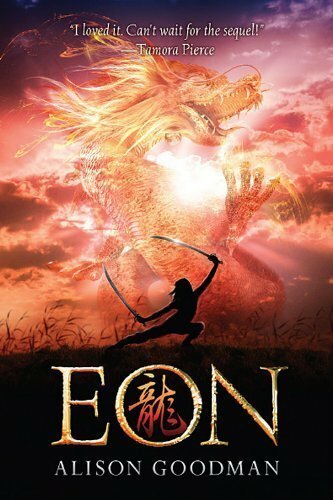 Eon is a fantasy set in an alternate version of the orient where the Chinese zodiac is literally represented by twelve elemental dragons, a new one of which ascends to supremacy each year. The titular character Eon is a candidate to be the year of the rat’s new dragoneye apprentice who, in twelve years, will become the magician who is able to draw on the power of the rat dragon. But Eon is more than he seems, as the book slowly reveals. I found the book well written. The pace is a bit slow. Due to the use of the first person without flashbacks or discontinuities, the plot is quite linear, and somewhat predictable. The mixture of a current feminist, post genderist viewpoint with ancient Chinese and Japanese culture is interesting and fresh, the characters well drawn. This is the first book of a duology; I plan to read the second half to see where it goes. This entry was posted in books and tagged allison goodman, book, chinese zodiac, dragon, eon, review. Bookmark the permalink.